We have exactly what you crave for in our restaurants. 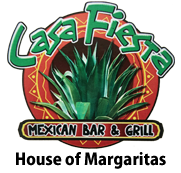 Our restaurants offer wide selection of upscale margaritas, in addition to a complete list of beers, cocktails, and a big variety of tequilas to choose from including our famous monster margaritas and 34 oz draft beers.
" 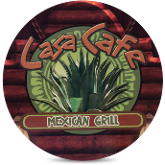 Casa Fiesta Mexican Grill "
Experience a true taste of Mexico at the Casa Fiesta Mexican Grill and Casa Cafe Mexican Grill. Founded in the mid 90's in Richmond, Kentucky. Unique restaurants offering full service Mexican Casual Dinning. Featuring three main dining rooms and a patio, also comfortable seating, fun atmosphere, and of course, amazing food, and drinks. We can make any margarita under the sun! Additionally, we feature an indoor patio and stage highlighting bands and artists of all different genres in specials occasions, like holidays. Please, feel free to contact us with any questions or comments. We look forward to hearing from you soon. Sunday - Thursday 11:00A.M. - 10:00P.M. Friday, Saturday, 11:00A.M. - 11:00P.M.